If you have a dog or run a pet grooming salon, you want the highest quality products available to bathe your pets. 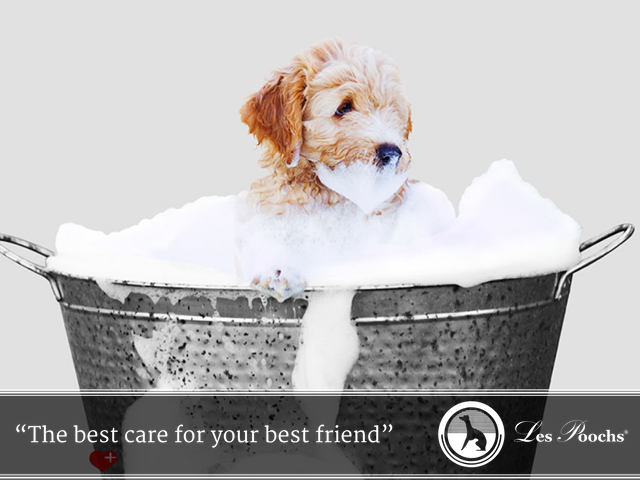 In your search to find the best pet care products, you have probably seen the word “surfactant” and know that it is advantageous to have in pet shampoo. 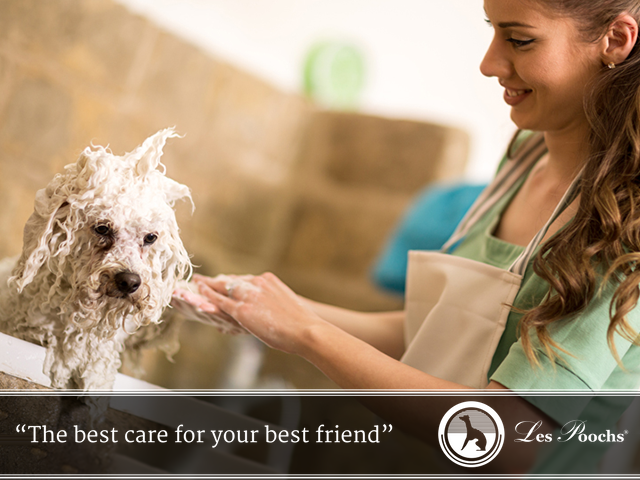 Here at Les Poochs, we know the importance of providing you with the highest quality product to take care of your best friend. Therefore we produce surfactant-based dog shampoos. Why is a soap-based shampoo bad to use for your pets? While we humans love lathering up our hair as we wash it, soap causes drying to the skin and coat and creates a residue which can dull the shine. Additionally the soap causes suds, and suds leave a residue on a dog’s fur and dander on a coat. Both are unsightly as well as unsafe. Surfactant-based shampoos promote lather and do not produce any suds at all. Our shampoos will give your clients’ pets the shiniest coat possible. It gets the fur and coat very clean without any problems caused by soap. It may seem odd not to have any bubbles when you are shampooing your dog. Instead of bubbles, you want a gentle lather. You have many options for shampoos and you need to educate yourself on the important parts. It is critical that you read labels and understand each and every ingredient. Make sure that all dog shampoos you use are safe for dogs, do not contain soap, and leave the dog looking and feeling luxurious. We know that “you work hard for the money thing”; that you spend money that should work hard for you and keep one goal in mind.